If I knew someone who was good at writing movie scripts, I would tell him my journey over the past five years. I heard about the Fulbright Program at the very beginning of my graduate school journey, and attended information sessions at the Binational Fulbright Commission in Egypt that introduced us to the long history and prestige of the program. Going to graduate school was my plan since I was an undergraduate. My plan was to work for a couple of years to build my career path then go to graduate school to do a Ph.D. After I graduated in June 2013, I explored my career options and worked for a publishing corporation for a few months. After this short experience, I decided to go into teaching and worked as a physics tutor for high school students. I decided to go back to school afterwards and applied for the Fulbright Program. 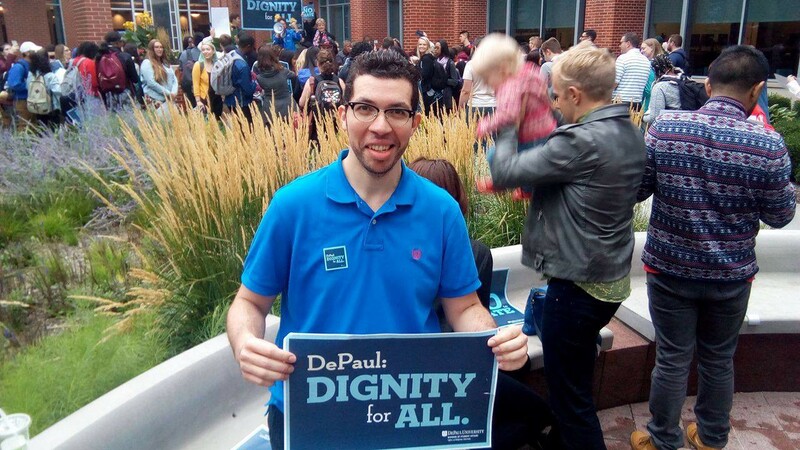 My life changed completely after I learned that I was accepted to this program and would be studying at DePaul University in Chicago, IL. I arrived to the United States in San Diego, California in August 2016. The feeling of joy at that moment is something I will not forget for the rest of my life. I believe that every one of us has some moments that define our lives. For me, arriving to the United States is one of these moments. Leaving my family for the first time in 26 years, starting a graduate degree in physics in another country, receiving a Fulbright grant, starting a new chapter in my life in the United States, feeling blessed to have this opportunity- it was overwhelming, but in a good way. I appreciate America more than ever before after I lived here for two years. Although I have not had any bad perceptions about America before I came here, there are some differences I found. When talking about the education systems in the United States and Egypt, everything is different. There is nothing similar at all. I can say that the biggest priority of American schools is the student. Everyone in the university, from the faculty and staff all the way up to the administration, works together as a team to make the university give the best experience for students. Individual assignments and homework are absolutely necessary and become the tools that help students build skills they will use later in their future careers. It wasn’t just the education, things like the weather were drastically different too. Seeing snow for the first time in my life was certainly one of the things I will remember for the rest of my life. It felt amazing to walk in the snow and to see the streets and buildings covered with white flakes. 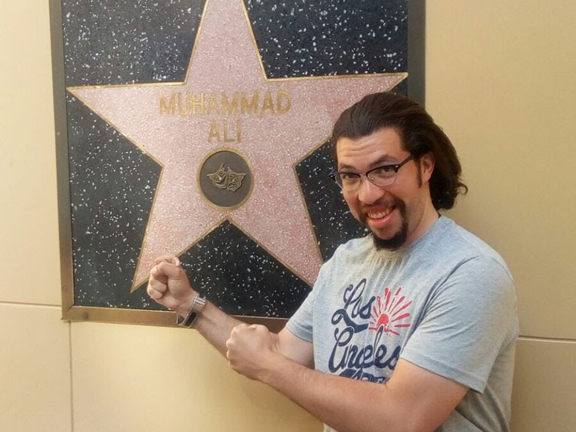 I also had the pleasure to visit many places in the United States. I visited most of southern California during my Pre-Academic Program at the University of California San Diego. I stayed in San Diego and visited Los Angeles, Sacramento, Santa Barbara, and Santa Monica. In my Enrichment Seminar in San Francisco I visited San Jose, Berkley, and Pasadena. 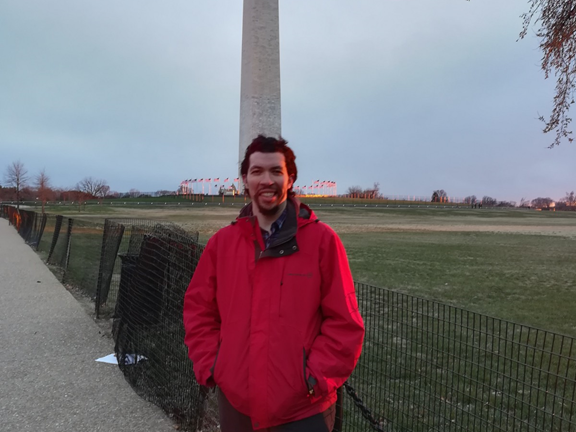 I later visited Washington, DC and Maryland while I was attending the American Physical Society meeting in Washington D.C. One of my favorite trips was my road trip to watch the eclipse in August 2017. I went with a group of the students and faculty in the Physics Department to Missouri to see the eclipse. We traveled from Illinois to Missouri and stopped by the Mississippi River. I also had the chance to visit Columbus, Ohio while I was attending the American Physical Society meeting. Overall, I think I went to many places that gave me a taste of the diversity of the United States. What I mostly appreciate about American culture is that everyone works so hard to get things done, not only to get it done-but also to get it perfectly done. This was something I had to learn, and I am continuously developing this skill: to do my best and to get things done so I could meet the high expectations. It is not about doing the job, but about doing it well and delivering the best product I can ever do. Another thing I learned is that learning new skills is an ongoing life endeavor- not only in school. I was seeing grandparents come back to college to get their degrees! During my Fulbright experience, I had the chance to learn about developing tolerance and acceptance towards people from different religious, economic, cultural, and political backgrounds from my American friends. Because the U.S. society is so diverse, everyone has to accept each other regardless of the differences. Given that I spent most of my life with people of the same religious and cultural background, I didn’t have a good idea about what tolerance meant. But after living here for two years and being surrounded by people from different backgrounds, I now accept and tolerate of people of all backgrounds. The entire experience of the Fulbright Program and being in the United States is something I feel blessed to have had in my life. But if I have to pick only one thing that I would consider my most favorite thing, I would say it is the feeling of being special! Really! There’s no program like Fulbright. We are exchange participants of the U.S. Department of State; we have the Pre-Academic Programs, Enrichment Seminars and the Re-Entry Seminars designed especially for us where we met U.S. Senators and politicians. On top of that, we are the recipients of the Fulbright grants-the flagship exchange program of the U.S. Government. In other words, we are the recipients of one of the most prestigious scholarships in the world and everyone working on the program is so dedicated to the students. I will really miss that entire atmosphere after the end of my program. Being a Fulbrighter means a lot to me. It is such a great pleasure to be affiliated with those wonderful alumni of the program that went on to become heads of state, Nobel Laureates, and historical figures. It motivates me as well to achieve something big because that’s what Fulbrighters do, and that’s what is expected from them! Certainly, having a master’s degree from an American institution as a Fulbright student has a lot of benefits. One thing is that no matter where I go, I know I received the highest quality education and the most rigorous training in the field. Fulbright is not just a scholarship, it’s an experience. During my Fulbright, I learned about the American community and people as much as I learned about physics. If you’re ever so lucky to get a Fulbright scholarship, think about how you can take what you learned and can give back to your community and do your best to make a meaningful impact in the world. 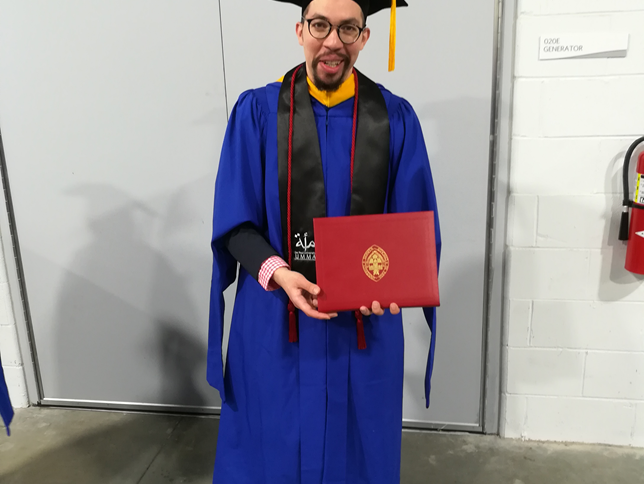 Loay is graduating with a Master’s of Science in Physics from DePaul University. He is from Egypt. 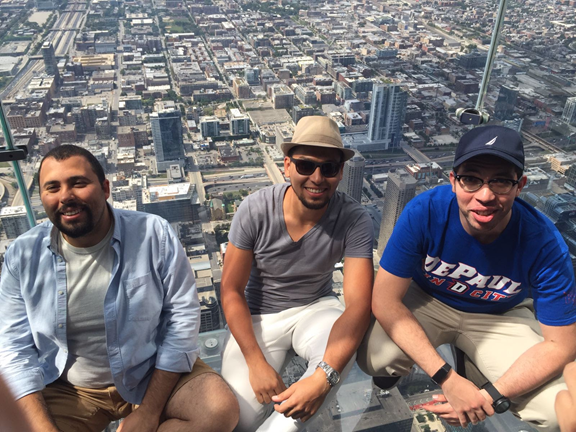 You can read more about Loay’s time in the United States on his Fulbright Lifestory. Read more Fulbright stories here.